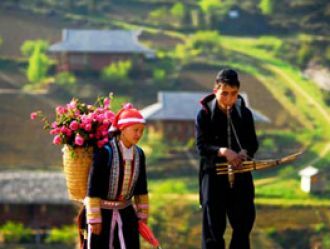 According to the Vietnam National Administration of Tourism (VNAT), there are over 3.54 million international tourist arrivals in the January-June period with a year-on-year increase of 2.6%, which is the lowest growth in three years. However, this situation is not too bad given the rebound in June, as the number of international tourists recorded in the January-May period dropped by 1.4% year-on-year. Russian arrivals post the highest growth rate of 84.4% in June, strengthening Russia’s position as one of the ten largest visitor-generating markets for Vietnam’s tourism. It is notable in June that arrivals from all of the top-ten markets record growth. The HCMC Department of Culture, Sport and Tourism also estimates over 1.9 million international tourists have come to the city in the year’s first half, up 5% compared to a 10% rise recorded at the same time last year. According to travel firms, with current economic difficulties, the price competition to attract tourists is becoming tougher. Besides, not only European tourists but also tourists from other markets now tend to buy cheaper tours. Bui Viet Thuy Tien, managing director of Asian Trails Co., Ltd, said that Asian Trails’ office in Thailand was doing well but the firm was encountering many difficulties in the Vietnamese market. Due to instability in Thailand in 2011, Vietnam enjoyed a chance to attract a large number of tourists from Thailand, she added. However, things have changed. Thailand now has new hotels almost every month, offering discounts and thus attracting a lot of international tourists, she said. “Asian Trails in Vietnam grows slightly in the year’s first half, but some market segments are declining such as MICE (meetings, incentives, conventions and exhibitions) with no MICE tourists from Europe recorded in the period,” she said. The ten markets which have the highest numbers of tourists to Vietnam in the January-June period in the descending order are China, South Korea, Japan, the U.S., Taiwan, Malaysia, Australia, Cambodia, Russia and Thailand. There are over 825,600 Chinese tourists visiting Vietnam in the period with a year-on-year rise of 21%, but arrivals from Russia achieve the highest growth rate of up to 60.4% with 153,900 tourists, according to statistics of VNAT.